Turkish government is planning to employ religious school graduates as kindergarten teachers. Turkey’s Justice and Development Party (AKP) increased the number of Islamic education oriented Imam Hatip High Schools fivefold since 2002 and employed most of the graduates as imams. But as the positions of imams are full the Turkish state is seeking to employ imams in different ways. Now employing imams as kindergarten teachers is on the agenda. 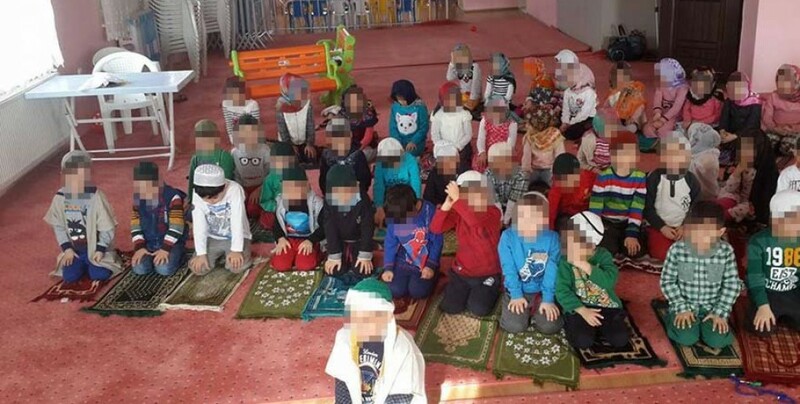 A private kindergarten administrator in Diyarbakir said, on the condition of anonymity, that the local education officials negotiated with the owners of kindergartens about employing imams as contract teachers. The officials also met with the families of children and forced them to sign a petition to force the kindergartens open a position for a religion teacher. Officials from the National Education Board threatened some kindergarten owners who refused to employ imams with not renewing their licences. According to a report by National Education Ministry, 1 million 155 thousand 932 youths are attending religious high schools in Turkey. Most of the graduates from Imam Hatip High Schools work as imams, religious teachers and other religion related civil services. If the trend continues in Turkey in 2019 there will be 17 Imam Hatip High Schools for every Science High School in Turkey. The annual budget for Imam Hatip High Schools stands at 1.7 billion Turkish liras while the budget for Science High Schools is only 109.6 million Turkish liras.